There are no rooms available at Warwick House for these dates. Great balance between being business like yet friendly. Loved the breakfast. Nothing not to like so well done to all! Sorry must get out more. 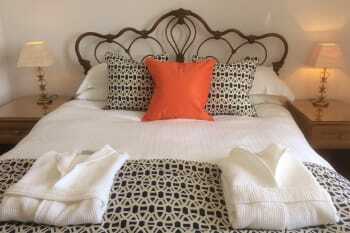 Warwick House is a stylish and and exceptionally clean guest house run by Julie and Chris. After being delayed we arrived late in the evening to be met with a welcome supper prepared by Julie. 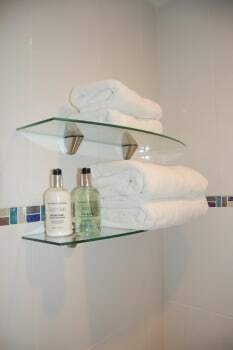 Everything at Warwick House is of a very high standard. 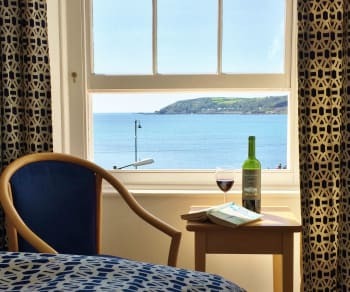 Warwick House is ideally situated for trains, buses and walks to all the surrounding towns and villages, whilst Penzance is on the doorstep with a wide varietiy of restaurants, cafes, shops and wonderful galleries. Lovely friendly hotel, felt very welcome and looked after. Great location and lovely view from my room which was very comfortable. Great local beaches and lovely fishing villages to explore close by. So easy for both ferry and station. So friendly and helpful. 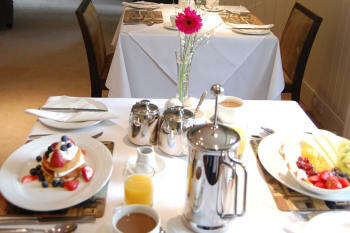 Beautifully appointed rooms and great breakfast choice. The Dock Inn for good beer and food. 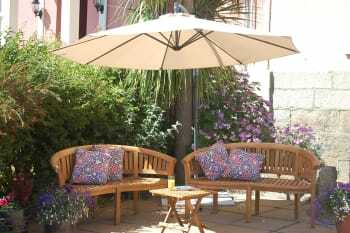 The most perfect Guest house in Penzance,where you will be looked after as a 5 star guest. Friendly, efficient, really well maintained, comfortable - everything a place to stay should be. The Dolphin pub was really good, interesting decor, good atmosphere, excellent fish and chips. The Turk's Head was also good and the Admiral Benbow was amazing with its incredible interior fittings, must-see. Beware the walk to Mousehole as lots of it is on the road. Obviously visit St. Ives - very good train service. Fabulous B&B. We would be happy to stay there anytime. Host recommends places to eat. We didn't have a bad meal. 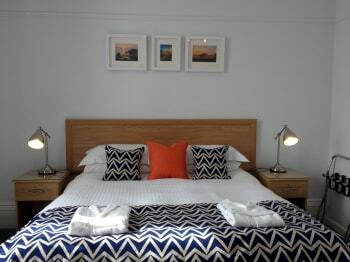 Accommodation in a great location with outstanding hosts. It makes you feel very welcome. Chris & Julie are really welcoming, friendly, and professional & couldn't do enough for us. They maintain really high standards with excellent attention to detail. Everything is lovely including excellent breakfast and fabulous sea views. We came on the recommendation of friends & wouldn't hesitate to recommend it to anyone else. 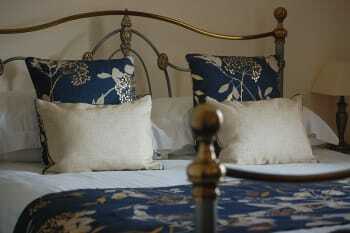 I have stayed at Warwick house three times now and have found it consistently kept at a very high standard. The owners cannot be faulted for friendliness and efficiency. Always a delightful stay! Very good accommodation with every facility and a comprehensive breakfast menu. Have already booked for next year. Chris and his wife are wonderful hosts and very welcoming! Breakfast was superb and the GH was very clean and proper. I warmly recommend it and hope to be back myself. A very pleasant stay with friendly and attentive hosts. I can think of nothing negative to say about Warwick House. My visit was only for two nights but everything was fantastic! Julie and Chris were utterly fabulous, friendly, efficient and courteous. Every need was attended to and the home cooked breakfast was absolutely delicious. My single room was cozy and perfect in every way. Keep up the good work! I hope to return and stay again when next in Penzance. Lovely warm welcome and very helpful during stay. Superb room, fabulous view. Will return. Thank you. Excellent accommodation and very helpful and friendly hosts. From the initial communication via email, through to my welcome from Chris, the Guest House itself, location, cleanliness, the incredible breakfast, and the checkout process. Nothing less than 10 out of 10. Cannot wait to return. Thank you Julie and Chris. A wonderful break. great food, people, and room. This is serious 'nit-picking' but a fridge in the room would be an improvement. Alverne Restaurant is the very best. Turks Head is the absolute reverse. Absolutely fabulous accommodations. Husband and wife team gave special personal attention.Delicious breakfast with a large variety to choose from. Gorgeous view of the sea from our room. Perfect stay. 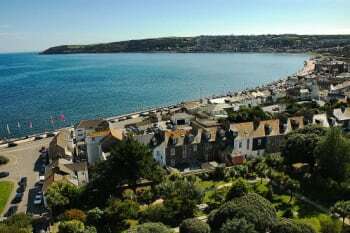 Penzance is a very walkable town and near other sites on the Cornwall Coast. Very warm welcome. Room, bedding and toiletries excellent. Breakfast was everything you could hope for. Sadly on this occasion we only had an overnight stay but will definitely be back. Thank you. We had a really could meal in The Dock which is a local pub only a very short walk away from Warwick House. Excellent location and facilities. Most important was helpfulness of hosts Chris and Julie, who were always available with good suggestions for goods and services and places to see. The town has enough interesting restaurants for a long stay, and lots of interesting streetscapes and architecture. The train and bus stations are conveniently located next to each other and can be used for many day trips to other coastal villages. Not to be missed is walking to St. Michael's Mount. Lovely place to stay, very welcoming. Efficient, friendly service. 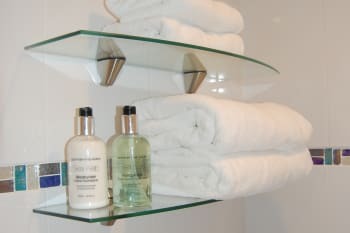 We always enjoy our stays at Warwick House. Thanks very much to you both. Convenient for the ferry to the Isles of Scilly. Bus services to local resorts nearby. Several good eating places in Penzance particularly The longboat. Very high standard of accommodation and super breakfast. Turk''s Head pub good food. A lovely guesthouse in a beautiful old house. Just so you know, with old houses, you get small rooms and steep stairs but that's the price you pay for the ambience! 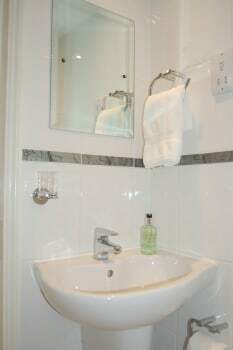 The room was very comfortable, nice bed, modern bathroom with sink in the bedroom. There were many nice extra touches and fresh flowers everywhere. Not much extra space for luggage but the space was well utilized. Breakfast was excellent--I recommend the Belgian waffles. They were the best I've ever had. The owners were so nice. I inadvertently left some clothes in a drawer and they made the effort to contact me and mail them to the next place we were staying. We were really impressed. This is a very nice place. Leave half of your stuff at home. The nicest bnb's are often in old buildings with limited space. Extra luggage is a problem. Dinner at the Turks Head was very nice Keith's Cornish Tours gave us a nice tour of remote beaches and coves and sites we never would have found (or had the nerve to drive to) by ourselves. 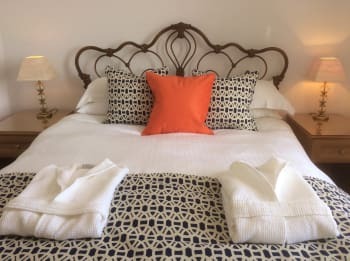 We have just stayed at Warwick House for our fifth consecutive year and have booked again for 2019. Julie and Chris are perfect hosts and always make us feel very welcome. The quay for the Scillonian ferry is just 5 minutes walk and Julie and Chris offer an early breakfast in good time for us to get the morning sailing. Plenty of eating choices close by. The rail station is just a 15 minute walk. This was our favorite BnB after 3 weeks of staying in various ones. 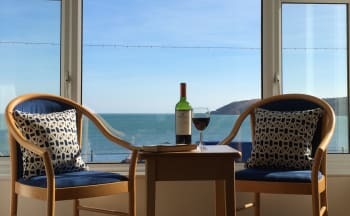 We liked the ocean view, contemporary decor and roomy, light bathroom (we were in room 4) and the friendliness of Julie and Chris. On this row of BnBs yours is the only one to make good use of the front yard. If there were more shady spots we might have hung out there. The only thing I can think of to improve is to adjust the room door so it doesn’t slam and maybe put a luggage rack in the closet. ThNks for a restful stay at the end of our trip abroad. An excellent stay with nothing too much trouble for our hosts. The assistance from Chris with our luggage was really appreciated. The requirement to book for a minimum of two nights was inconvenient and costly. However, it is fully understandable and accepted. The open top bus journey arouns Lands End is worth doing on a fine day. It is breathtaking at times and keep your head and arms inside the bus when riding on open top deck! Chris & Julie were lovely hosts with wonderful personalities & Julie's cooking at Breakfast was superb. A walk to st Micheal's Mount is a must for anyone. A Boat trip would be good to see dolphins & seals & local Restaurant called Blacks would be a good choice for a evening meal. Very welcoming, friendly and attentive. A great place to stay with all the facilities you could wish for in a B&B. Loved the fudge. Unscheduled stop as flight to Isles of Scilly fogbound. Hosts were welcoming and helpful. Lovely room. Top notch breakfast. Easy walk even with our luggage to quay for ferry. Would definitely stop here again. Julie and Chris do everything they can to make your stay comfortable and enjoyable. Minack is a must. Tin mines and Tremeheere Gardens recommended. Best restaurant we visited was Tolcarne Inn. Not sure about the Old Lifeboat Bistro where they failed to pick up our booking left on their answerphone (although they squeezed us in) and the manager/proprietor(?) did not deal well with another customer who got very stroppy while we were there. Finally, if you're looking for a quiet peaceful holiday I would avoid the Mazey Day weekend. OUTSTANDING AND MARVELLOUS. BREAKFAST AND THE PACK LUNCH AMAZING. Definitely St Michaels Mount. Personal experience use the Buses and Trains. you see more off beautiful cornwall. Walks on the coastal path. excellent location, very helpful staff, very good breakfast and overall very good value. 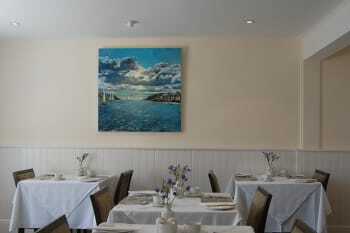 Enjoyed dining at the Old Coastguard in Mousehole and the Bay Restaurant,Penzance. A trip to the Minack Theatre,Porthcurno and Mousehole is definitely recommended. A lovely stay- wonderful hosts, best breakfast of our entire trip. We really liked the food, atmosphere and service at The Dolphin. 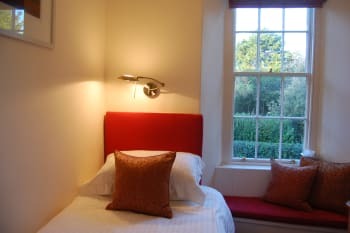 Of all the places we visited in England, Cornwall is our favorite and we’ll stay at Warwick House again when we return. Fab stay once again,the breakfast is outstanding. Spotless room, super comfy bed and my new favourite breakfast of poached eggs and halloumi on carrot bread!Can't wait to stay again. Do try the Cornish Barn in Chapel Street for great food and cocktails. No 56 Chapel Street has some lovely homewares and Pure Nuff Stuff a few doors along in the Egyptian House have gorgeous natural skincare products. Warm, friendly hosts and staff. Excellent cleanliness and top notch breakfasts so really nothing to pick fault with at all. Very pleased I found your place. School of art in Newlyn? Wonderful friendly staff. The breakfast is really good. Every is very well kept, clean and comfortable. Good location as it both easy to find and a good base to see the beautiful places in Cornwall. I really enjoyed my stay and would recommend it to anyone. I found Warwick Hotel to be a very nice B&B. The owners Chris & Julie were extremely friendly and very helpful. The rooms are very clean and facilities good. Breakfast is excellent with choices I did not expect. 5 Stars well deserved. Unfortunately I did not have the chance to look around as I had a schedule that took me elsewhere. A wonderful stay as normal. 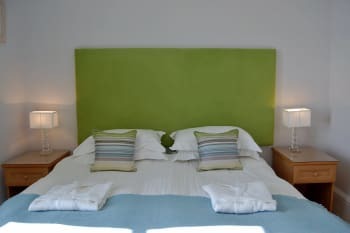 Lovely comfortable rooms, great selection of breakfasts and lovely host. My regular when staying in Penzance. Warm welcome on arrival. Room very clean. Choice of breakfast and quality excellent. Nothing but good things to say about our stay here. Plenty of good pubs, restaurants in the area. Lovely walks along promenade. Train and bus station a 10 minute walk away, as is the town centre. Nice Carvery at the Lugger Inn on Sunday's, St Ives just blew us away on New years eve, great fun. Had a really great meal at The Turk’s Head with Cornish Pinot Noir. Super welcome on arrival. Friendly and very helpful during our stay. Beautifully cooked breakfast. Chris and Julie know and act on the importance of looking after people when they are away from home and giving a stay at Warwick House a level of comfort and quality that makes for a real sense of wellbeing and appreciation. The house is welcoming, peaceful and friendly and you will be made to feel at home. Always a pleasure to stay there, they're really welcoming and helpful and the place is top notch. 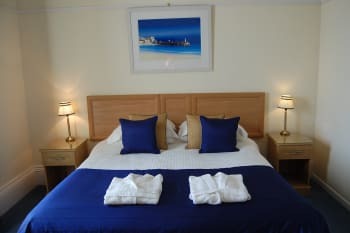 The accommodation was lovely and staff were very friendly and ensured we had everything we needed for our stay. The staff were flexible and brought forward breakfast time to suit our itinery elsewhere. 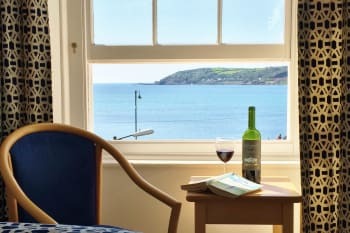 I would definitely stay again if I were back in Cornwall and happy to recommend them to anyone. Could not find fault with Warwick House. An ideal spot to chill out and relax. Very warm welcome from Julie and Chris, comfortable surroundings, excellent breakfasts. Highly recommended. My bedroom and bathroom was as good as any five star hotel. 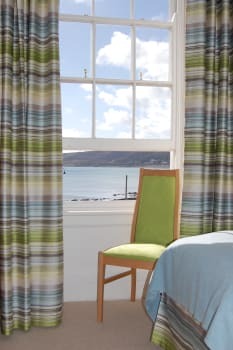 I can really recommend it, it also has a view of the sea with the promenade over the road. The breakfasts were excellent with so much choice. I would recommend Warwick House as we found the breakfast one of the best we have ever had in a hotel or bed and breakfast establishment. 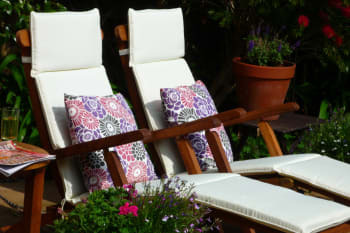 The hosts are very friendly and clearly want to give the best service and facilities in the area. 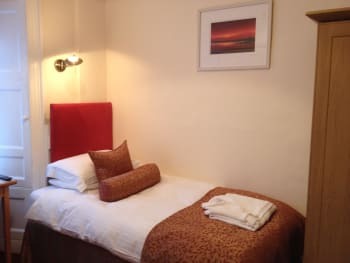 The room had a very comfortable bed and had quality extras such as bottled water, locally made fudge and good toiletries. 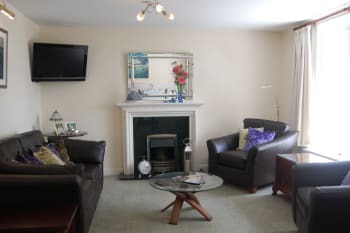 Good location close to town centre and opposite sea. Stayed here before! Easy to find and great location! Room is of a nice size and always nicely clean! I mainly stay here because of the breakfast- simply love their pancakes! Really welcoming as always and As I was leaving early each morning Julie made me an amazing 'breakfast bag' which did me for lunch too! If you like Thai food Make sure you visit Sukothai on Queen Street. The Cornish Barn on Chapel Street is superb too. Very friendly hosts, superb breakfast, comfortable bed and easy parking. There are masses of things to do and places to eat within the immediate vicinity. Penzance is a charming place and generally a pleasantly quiet, civilized town. Always a joy to stay here. Eat at "The Singing Rooster" - Polish food - tasty, good portions, excellent service. Need to book at the weekend. Take your own wine - no corkage charge. Lovely staff/owners, a very nice comfortable room exceptionally clean. Highly reccomended. Exceptionally clean and tidy. The location is handy to all the local attractions and public transport with Handy on site parking at Warwick house. The breakfasts provided were exceptional with a variety of well cooked delicious choices. 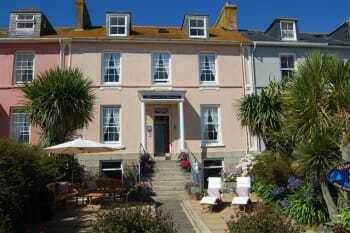 .i highly recommend the Warwick House for a stay in Penzance. Chris and Julie were extremely good hosts, thoughtful and kind. They clearly pay close attention to detail and run a tight ship. There's lots to see and do in West Cornwall. Good location, helpful friendly hosts and good choice of breakfast. Room was clean and comfortable. 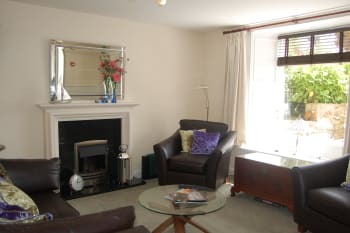 Easy walking distance of the town centre, bus and railway station. Warwick House is a great place to stay from every perspective. I can't fault it in any way. Clean, comfortable room; excellent breakfasts; Julie and Chris very nice people to deal with. The fish at Black's was excellent. Penlee Museum & Art Gallery, Morrab Road, a very attractive visit. Morrab Gardens well worth a visit.